Use Our Pick, Click, Drive Tools To Make your Audi Purchase Simple! Featured New Audi Inventory at Fantastic Savings! Welcome to MAG Audi Dublin a proud partner of Midwestern Auto Group! 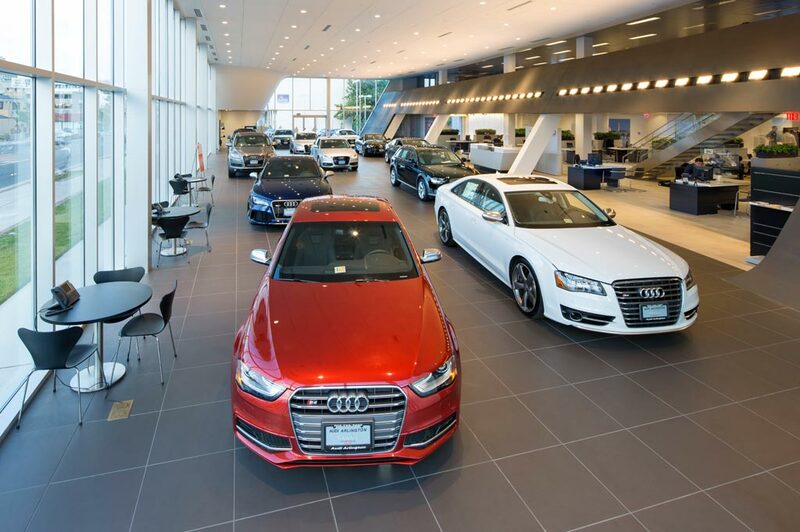 Our Columbus, OH Audi dealership proudly serves surrounding areas of Columbus, OH, including Dublin, Easton, Polaris, Hilliard, Worthington, Powell, Lewis Center, Downtown, Pickerington, Gahanna, New Albany and Westerville, OH, and happily offer an extensive inventory of new and used cars. Here you'll find a friendly and accommodating staff eager to assist you. Our dealership proudly offers a great inventory of new Audi cars in Dublin, OH. From popular models like the Audi A3 and Audi Q5, to other favorites including the Audi Q7, we are sure to have something that sparks your interest. If a new car isn't in the cards for you right now, be sure to check out our pre-owned Audi cars in Columbus, OH. Thoroughly inspected for quality and integrity, you can be sure that each one meets our incredibly high standards for excellence. Why should you expect anything less? You don't have to fret about financing your new or used vehicle. Our Audi finance center in Dublin within our beautiful New Audi facility located right off 270 N and 33W in Columbus, OH. is staffed with great financial specialists to help you determine the financial option best for you. Audi Dublin takes the time to explain all the details, making sure you understand every comfort, safety and entertainment feature (there are many!) and get the best deal possible. It's part of our job; but also, we enjoy helping turn dreams into reality. Once you are the proud owner of a Audi model, Audi Dublin wants to help you keep that new car as safe, efficient, and well maintained as possible. Our factory trained staff are pleased to provide you with onsite Audi service and repair. We utilize the latest automotive car care technology, and exclusively use only official Audi replacement parts for any vehicle repair, or upgrade. Whether a new or used car is in order or a little maintenance is required, visit our dealership for more information. We look forward to serving you here at Audi Dublin!